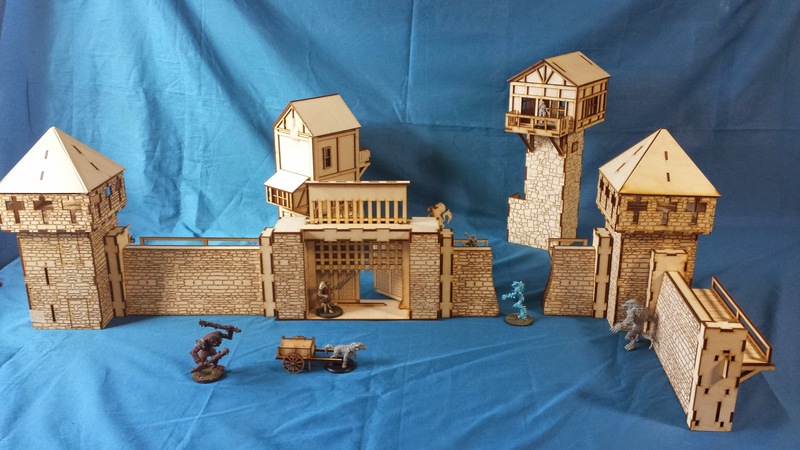 Welcome to Dagger's Reach, port city to the eastern empire. 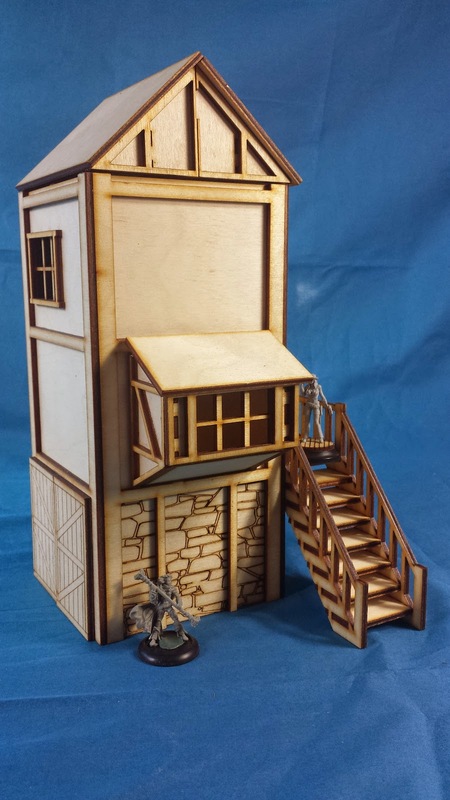 From here you can go anywhere from the depths of the oceans to the heights of the tallest mountains and beyond. 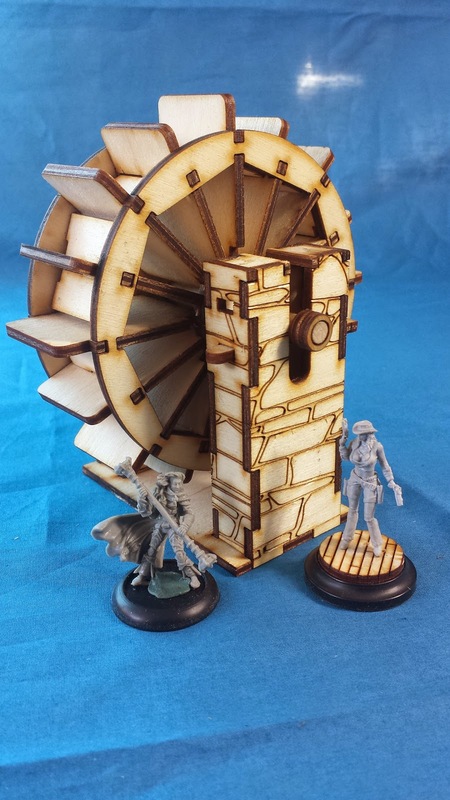 All is available for a price. 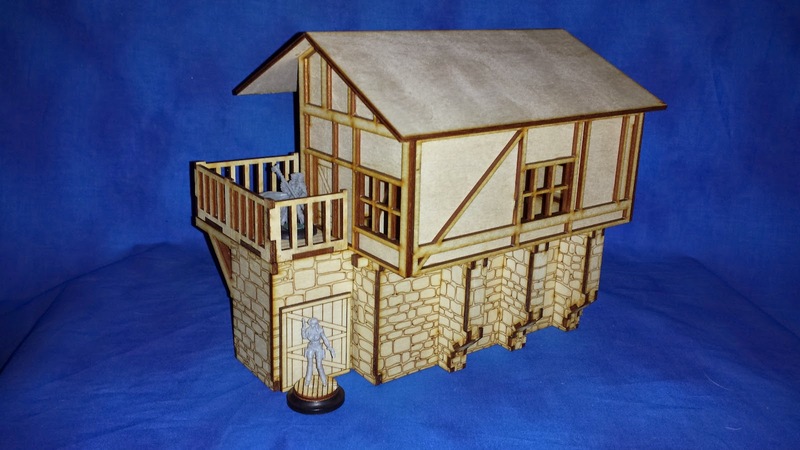 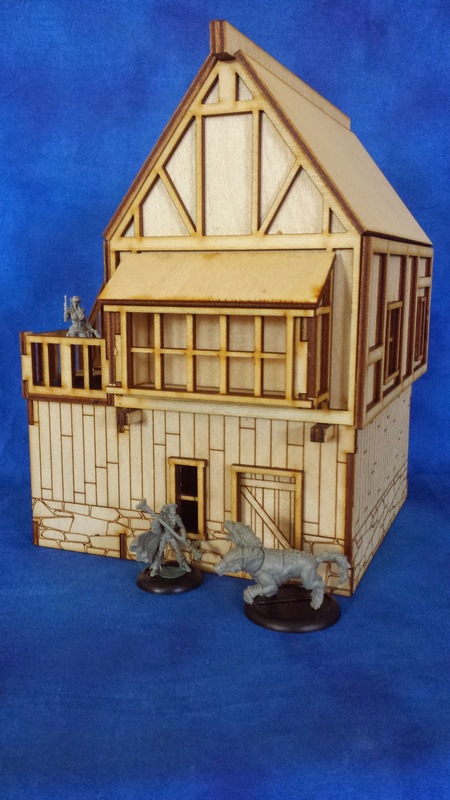 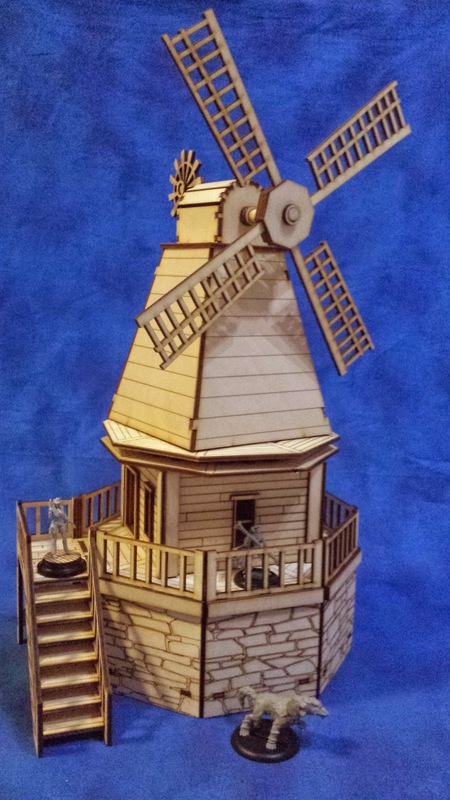 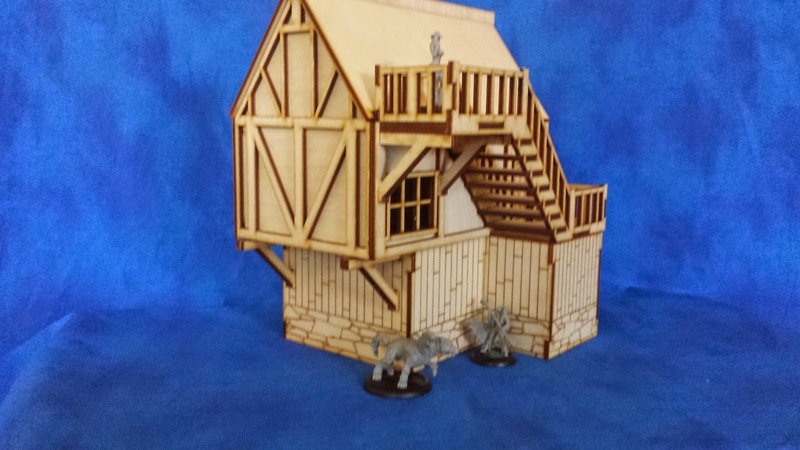 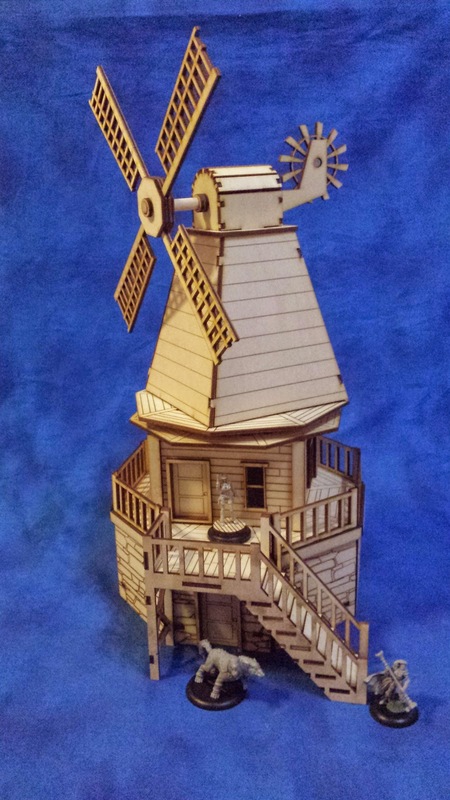 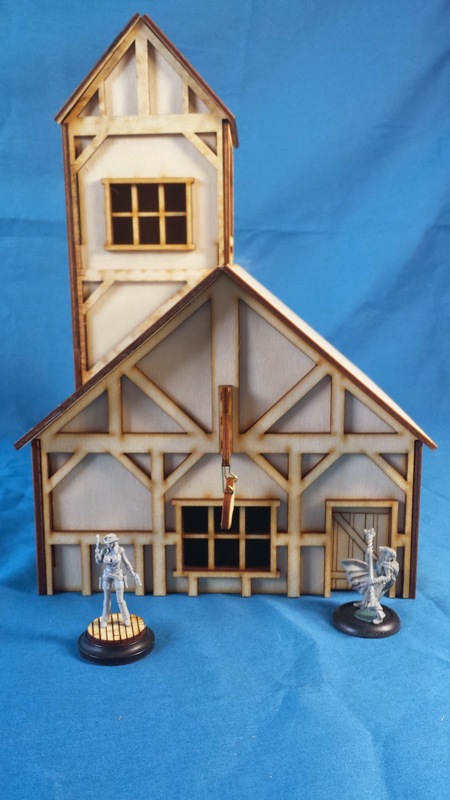 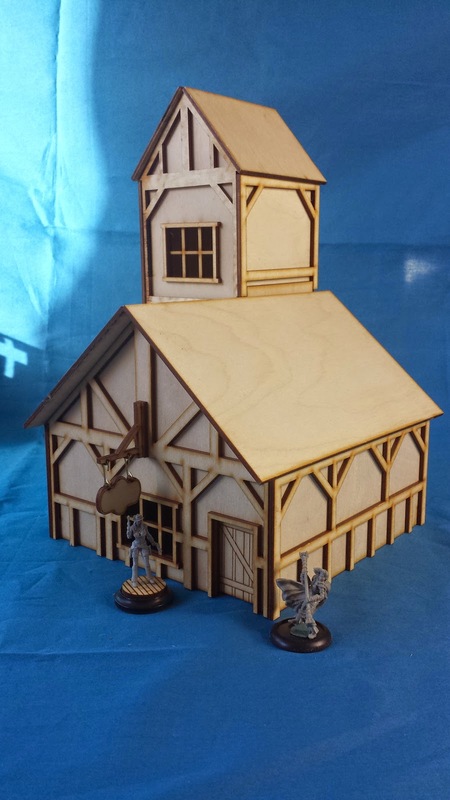 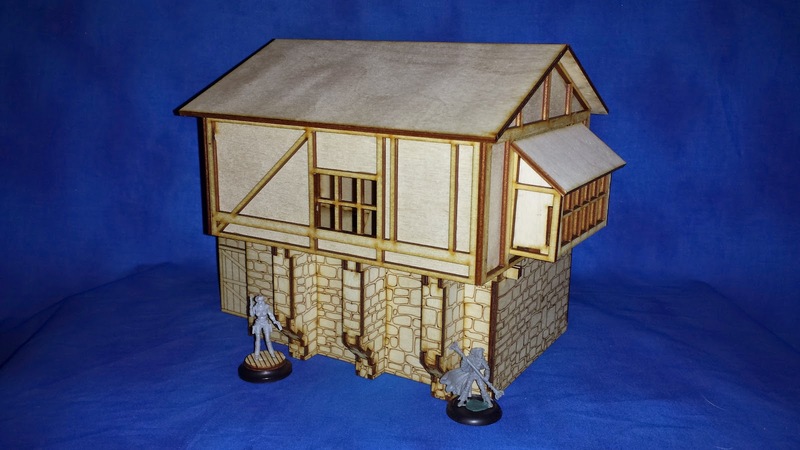 Dagger's Reach is our latest collection of terrain sets based on Tudor buildings perfect of a sea side town. 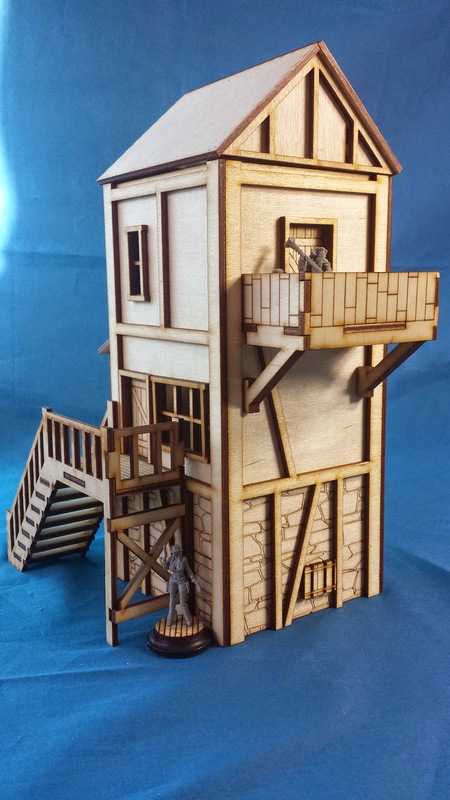 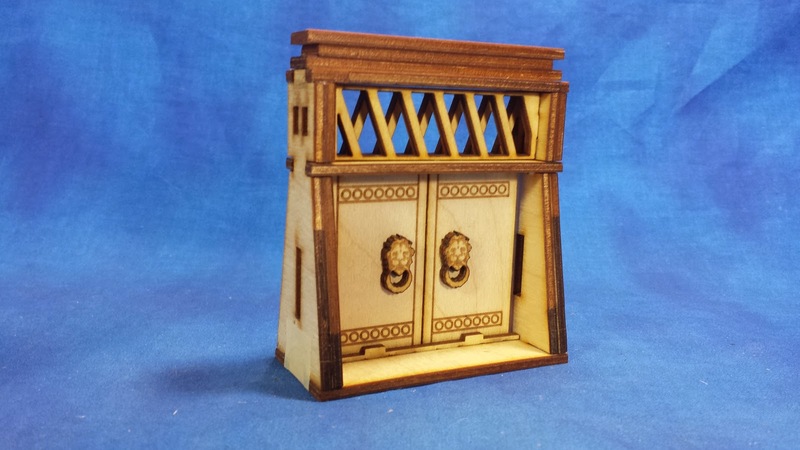 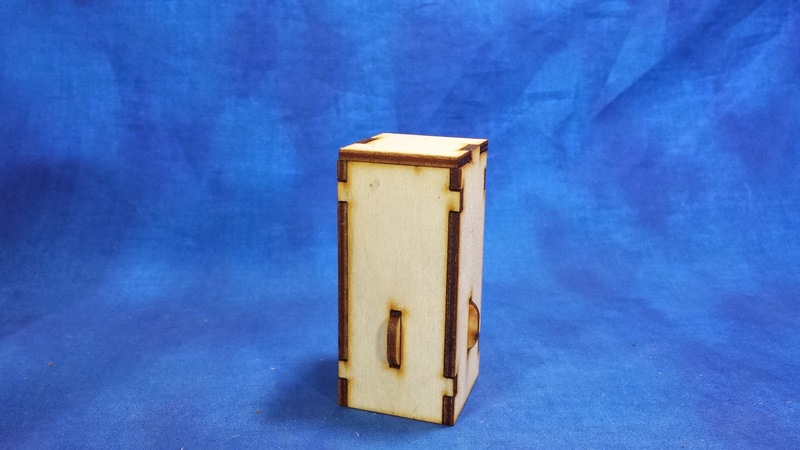 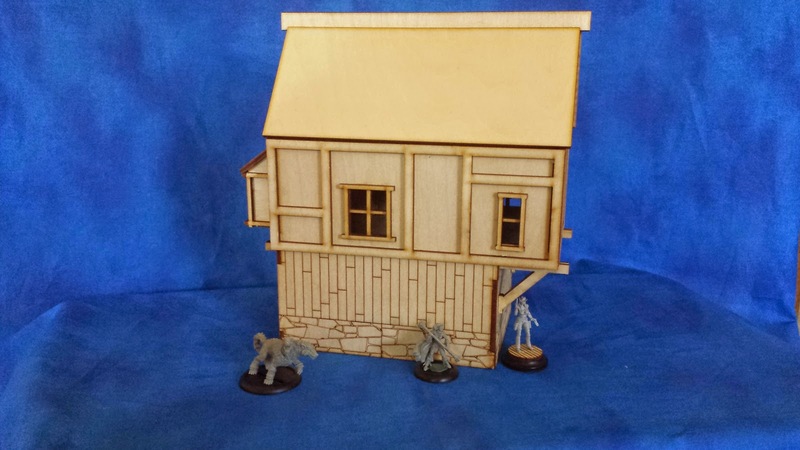 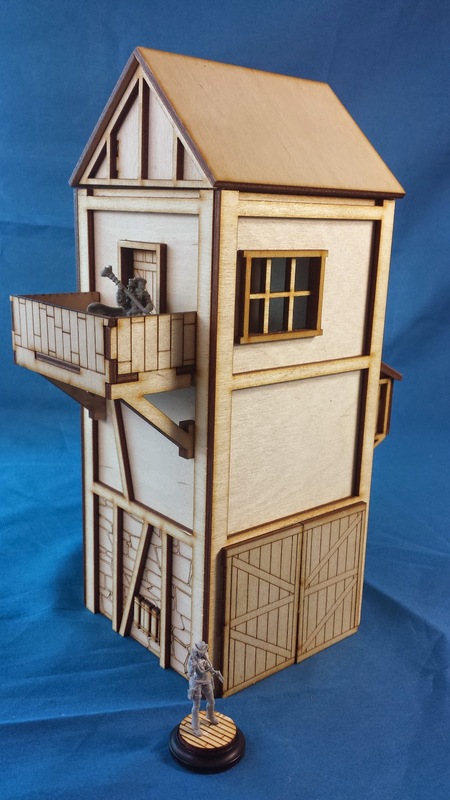 All buildings are designed with gameplay in mind and based on a 3" level height to make moving models easier. 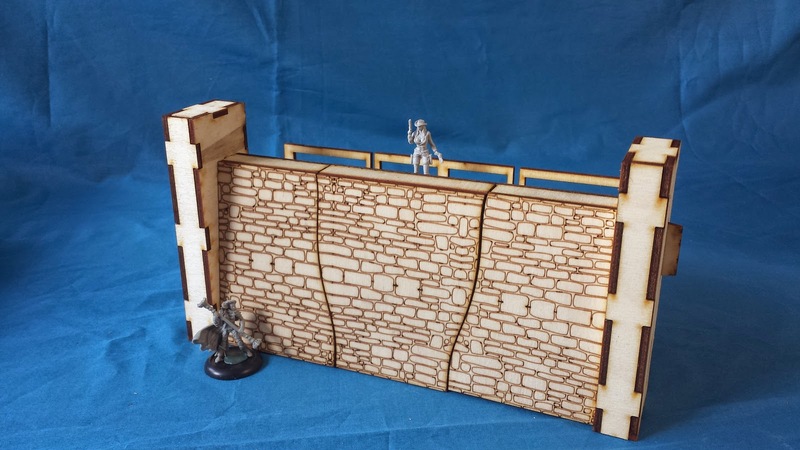 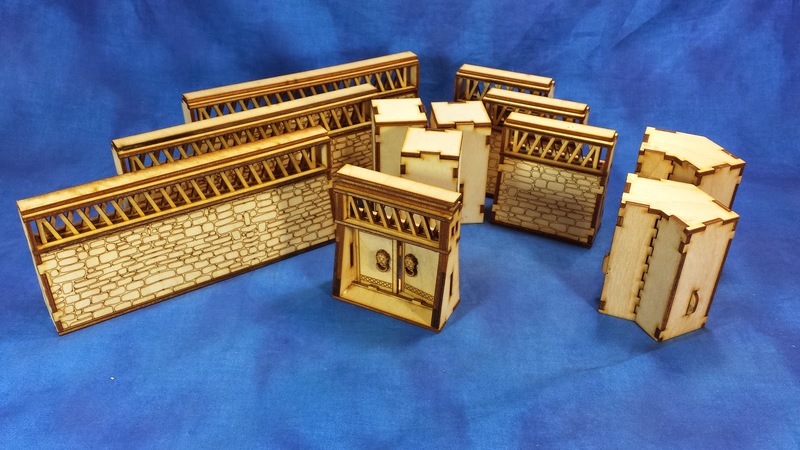 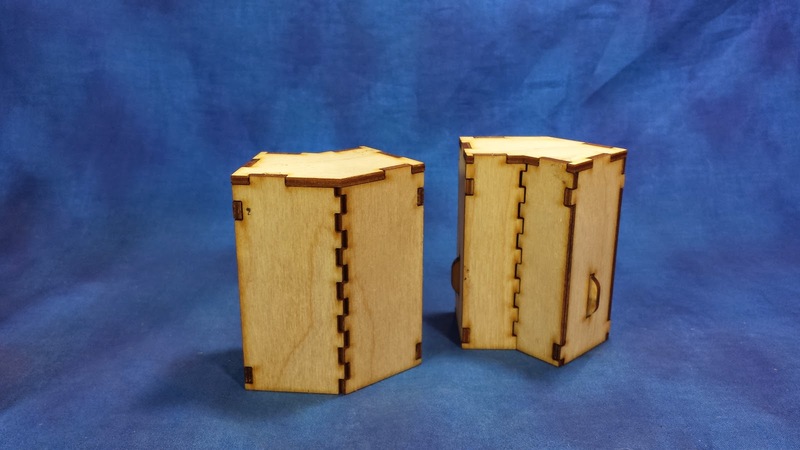 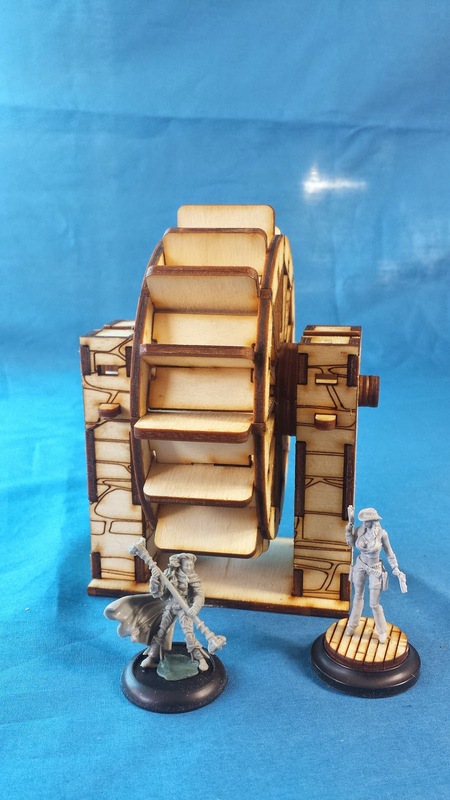 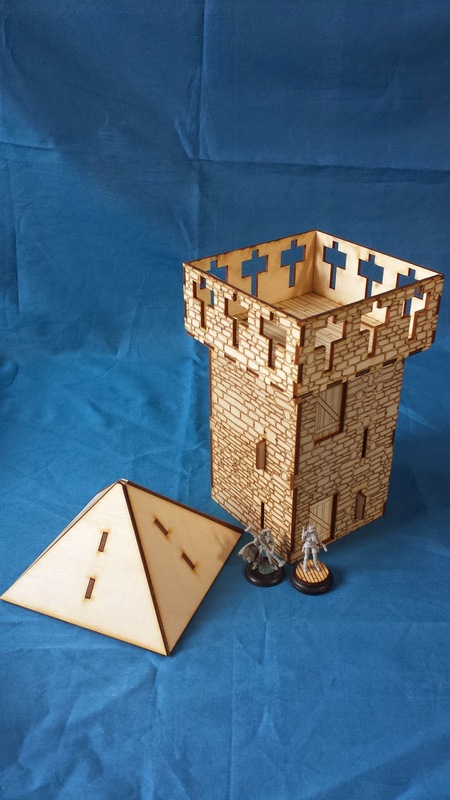 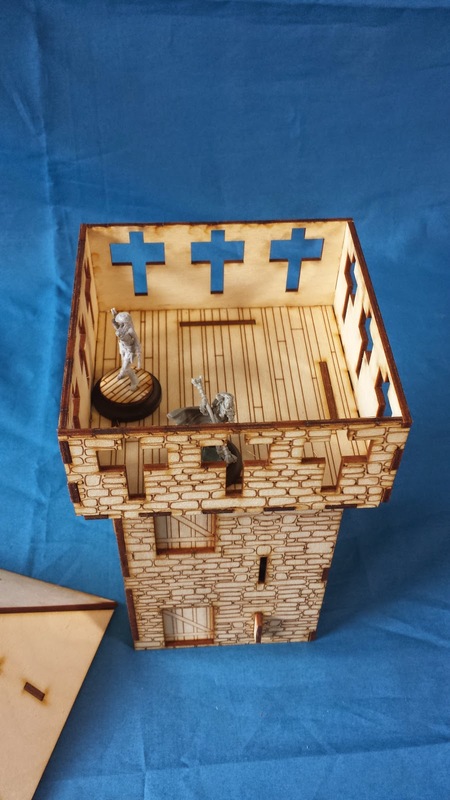 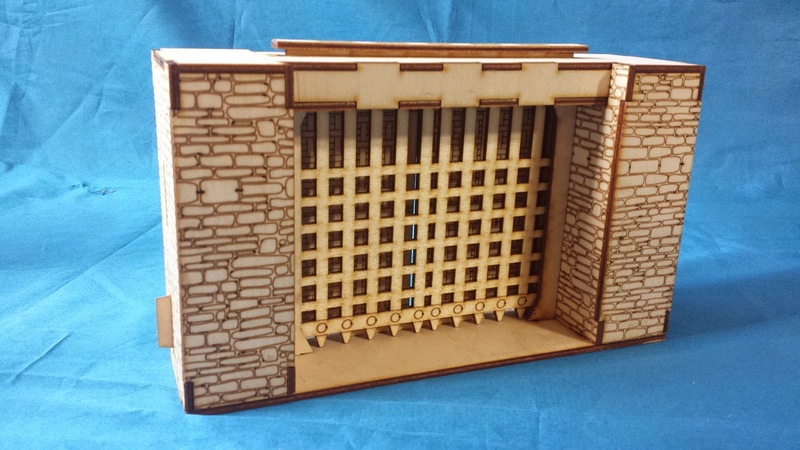 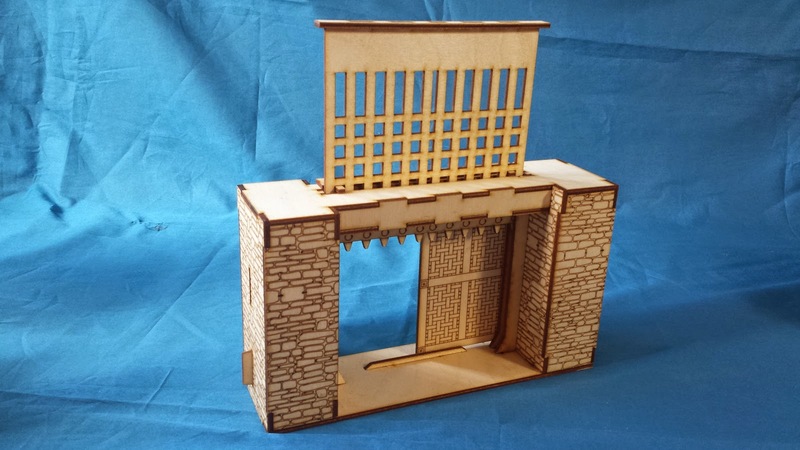 The Outer walls use a modular design with interlocking tabs and locations to add .25" magnets allowing to easily build long sections or castle keeps quickly without worry of them coming apart during game play. 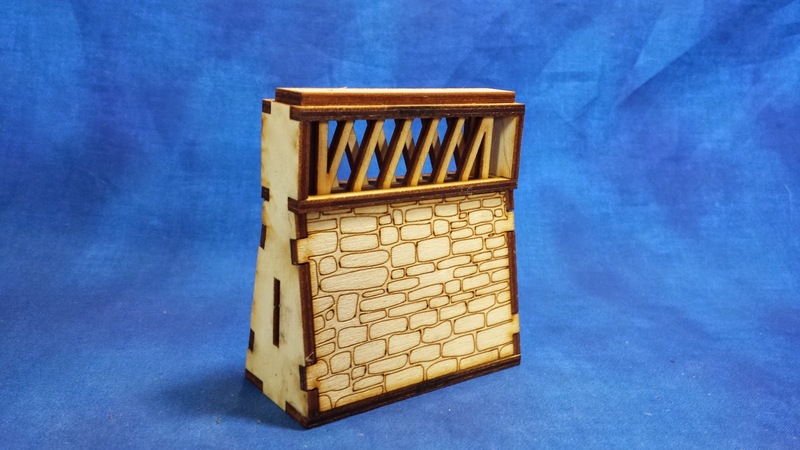 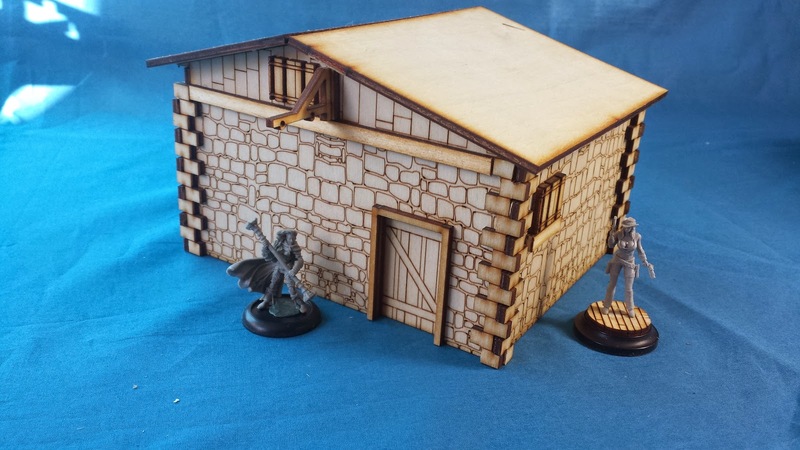 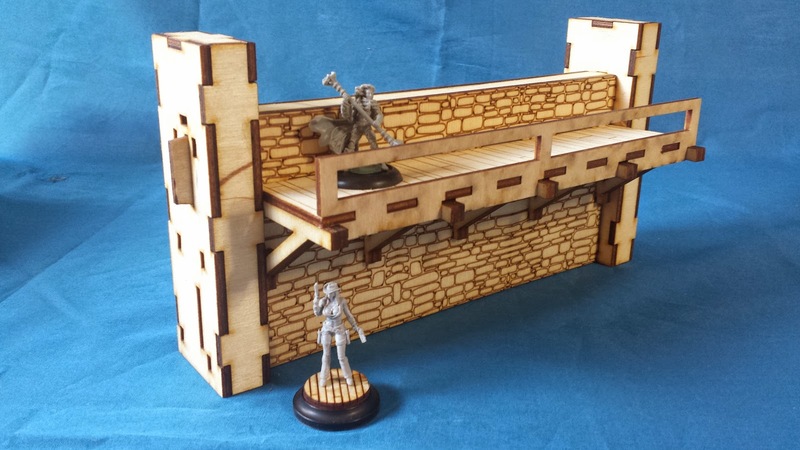 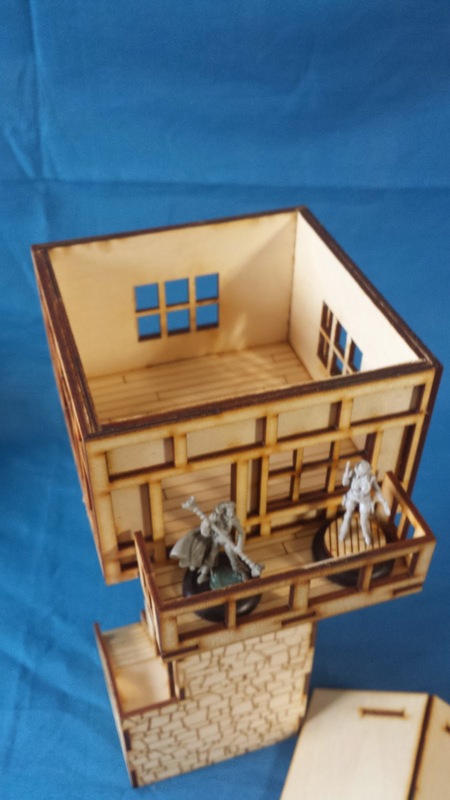 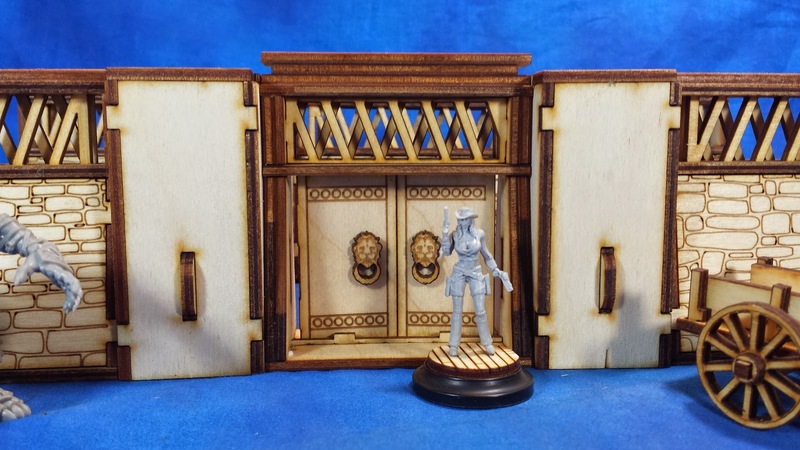 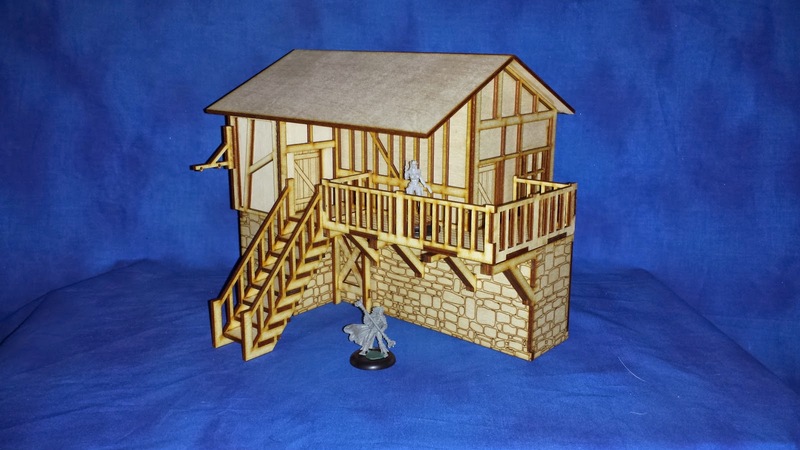 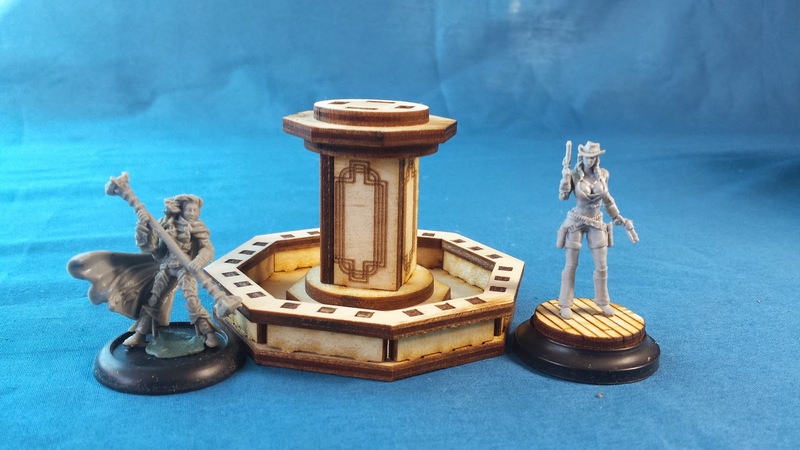 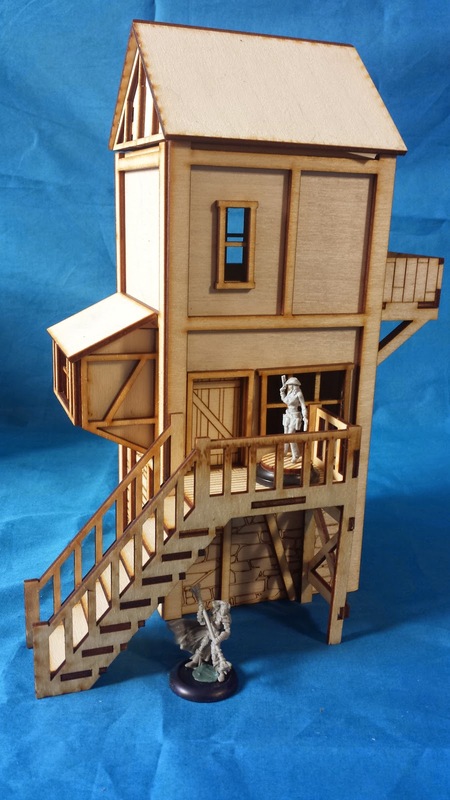 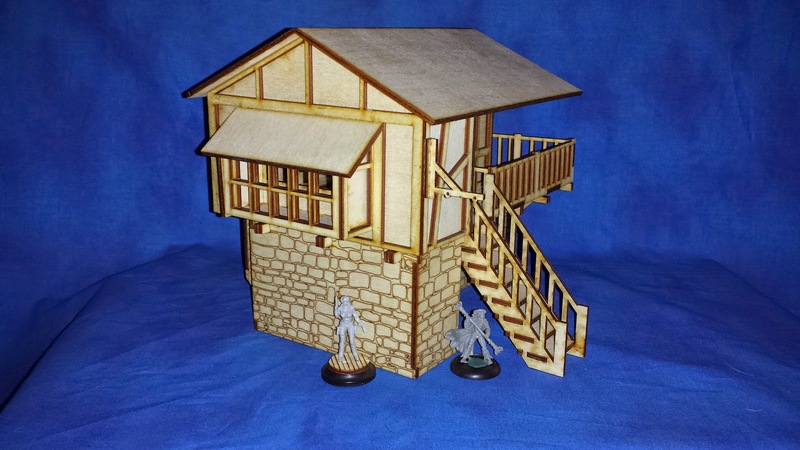 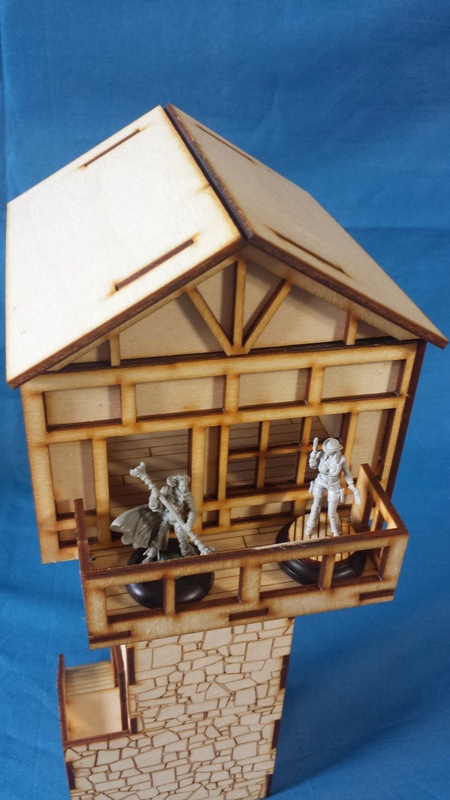 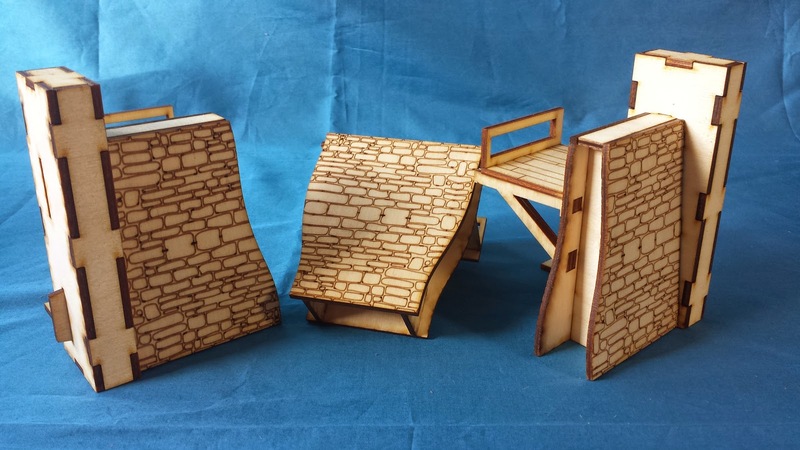 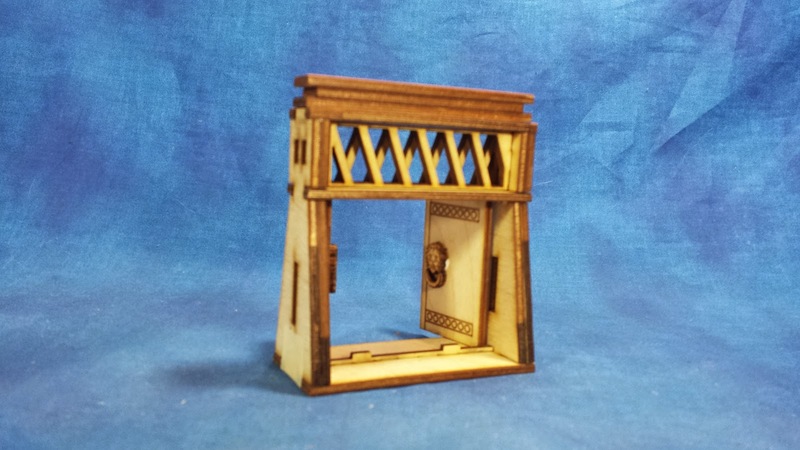 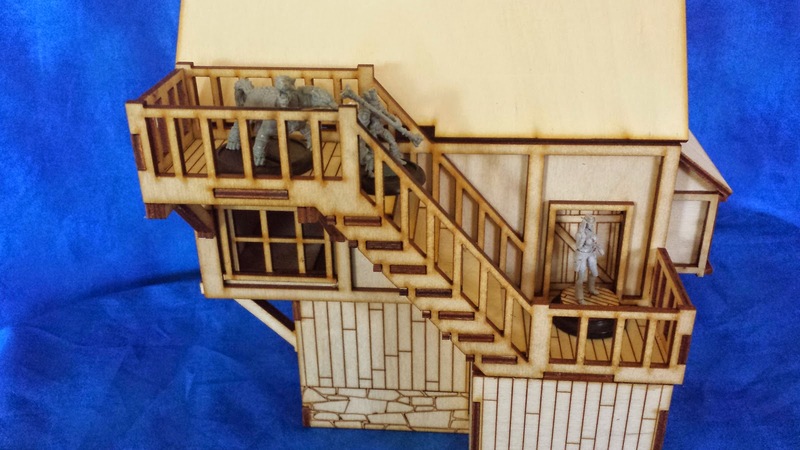 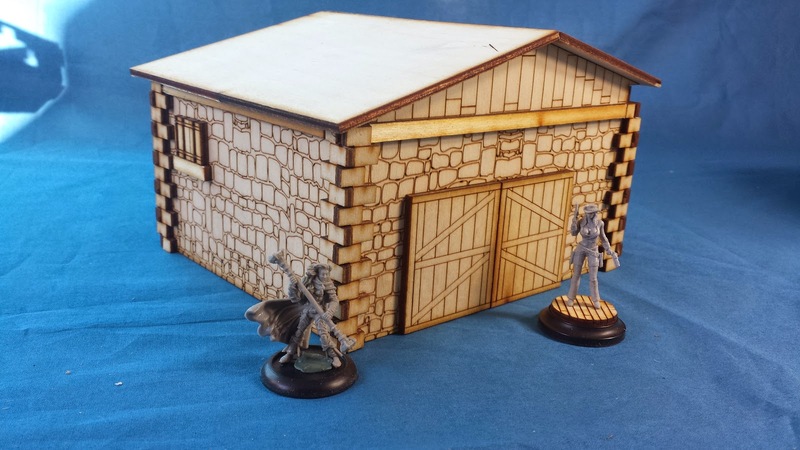 Each wall section includes a elevated platform deep enough for 40mm bases. 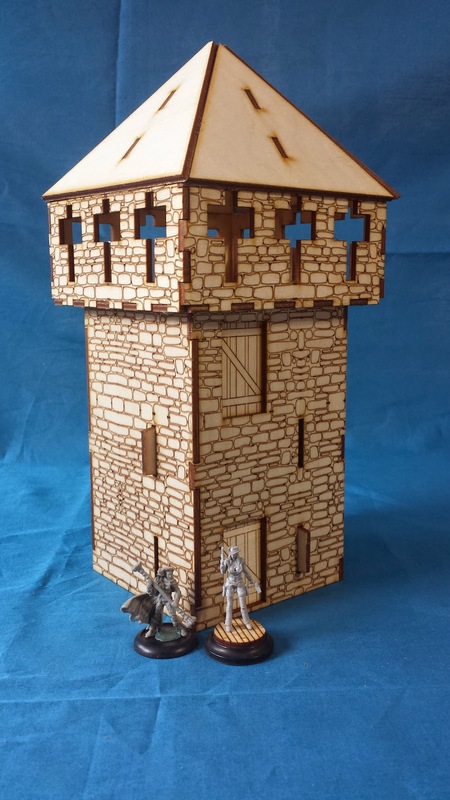 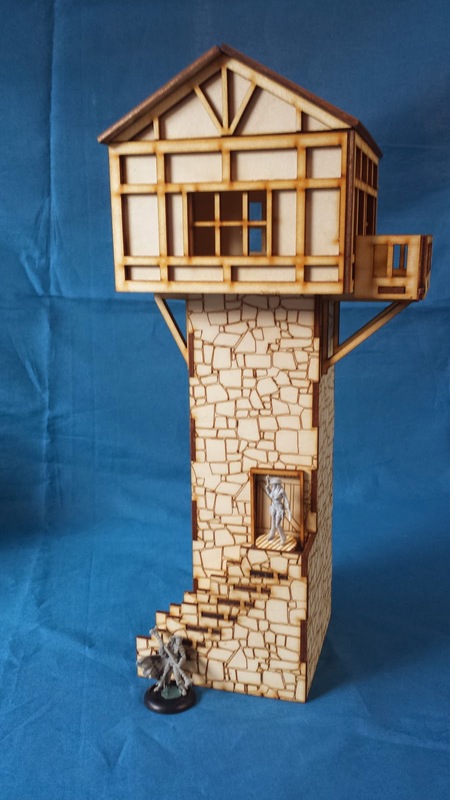 This collection includes over 4 feet of walls and tower. 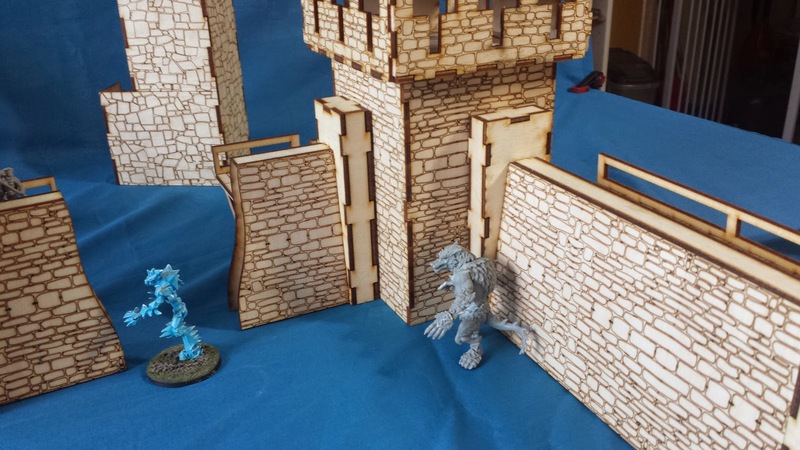 Combine 2 sets to build a classic 4 tower castle wall. 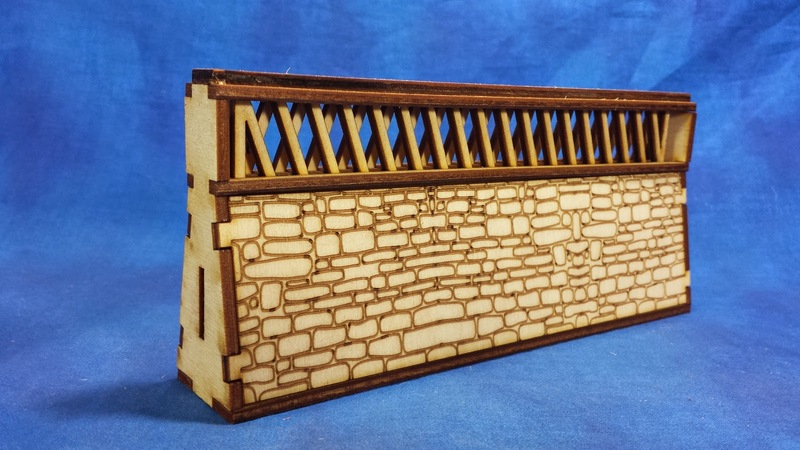 As they say good fences make for good neighbors. 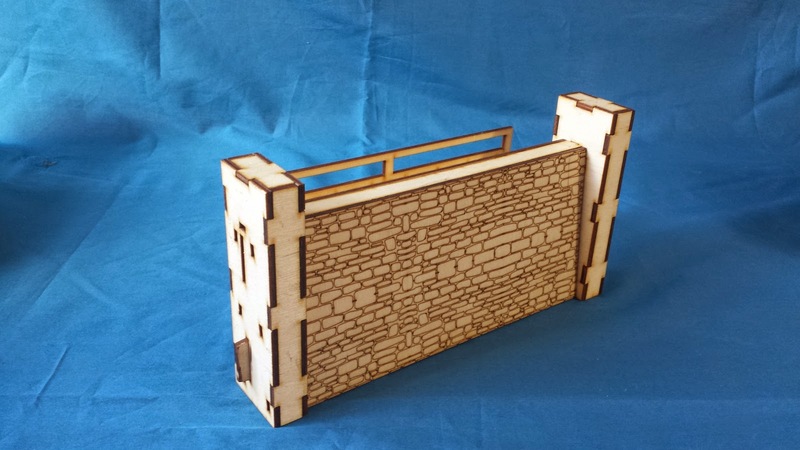 The courtyard walls use interlocking tabs to connect together just like the taller walls. 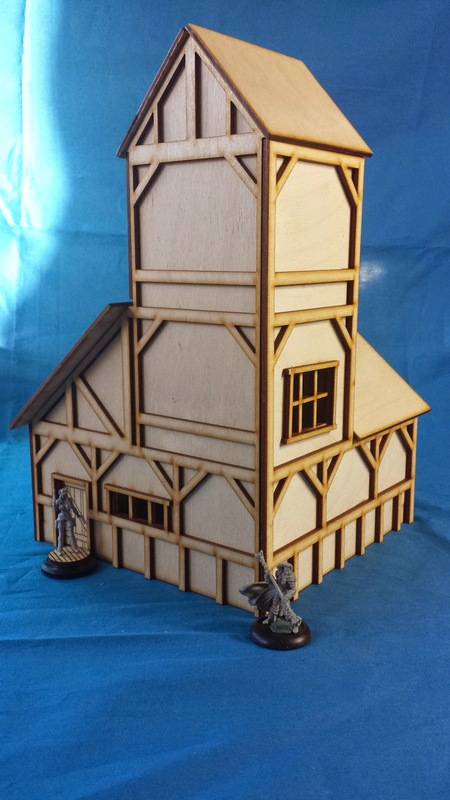 The town of Dagger's Reach has quite an assortment of buildings. 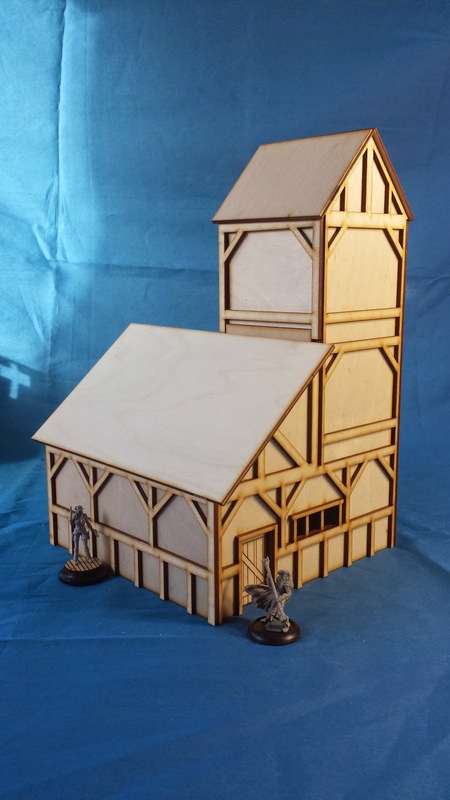 Each building has its own unique designs but enough unifying features to tie the set together. 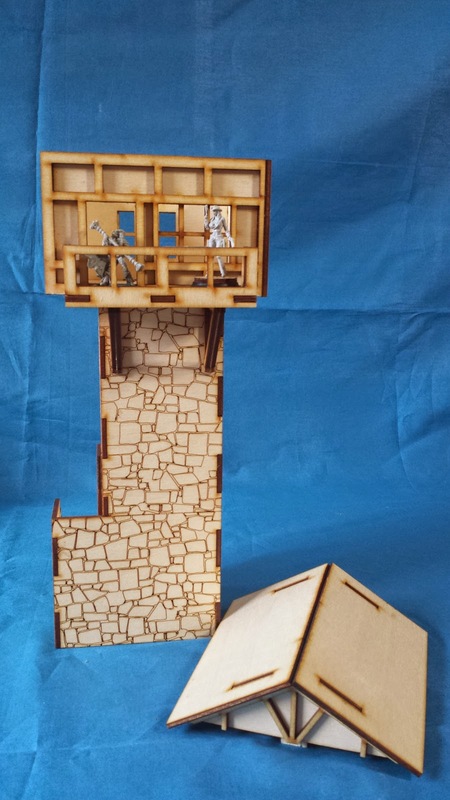 From the brick and wood lower floors to the signature stair cases Dagger's Reach is a complete city.